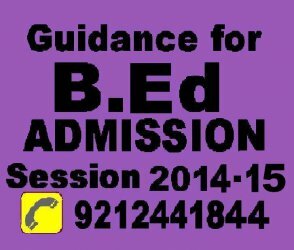 For getting admissions in B.Ed courses the candidates need to have a 3 years Bachelors degree. The minimum marks requirement is 50% from any recognized university or college. It is of complete 1 Year course. The course fee is as per university norms. Different universities have different fee structures for B.Ed courses. Why Regular B.Ed. Degree is better than Correspondence B.Ed. Degree? 1. Duration for the Regular B.Ed. course is 1 year only. But if you choose Correspondence B.Ed. then you have to give 2 years. 2. Exam will be held 1 time in Regular B.Ed. so that you have to come 1 time only. But in Correspondence B.Ed. you have to give exam 2 times so that you have to come 2 times in University. But the students can go for any kind of B.Ed courses as per their wish.